Now that autumn's cooler weather has arrived, there is nothing I love more than snuggling up in my bed. A high quality sheet set makes a huge difference in the quality of sleep. These beautiful Hemstitched Sheets from BrylaneHome are 600-thread-count sheets. I love a high thread count because the sheets feel so much softer on my skin! The hemstitching on these sheets give them a beautiful classic and clean look. I chose a set of queen size in the rich mocha color, but the winner of this amazing sheet set can choose from any available size and color, including ivory, butter, spice, mocha, teal, mauve, or sage. Go read my review HERE. 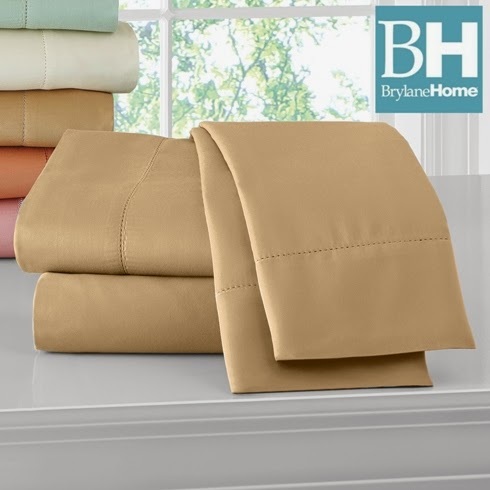 Bring some luxury into your sleep with BrylaneHome's 600TC Hemstitched Sheet Sets! For your chance to win, just fill out the Rafflecopter form below. You must be a US resident, at least 18 years old. Only the first entry is mandatory; but bonus entries will increase your chance to win this luxurious 600TC Hemstitched Sheet Set in your choice of available colors and sizes. Giveaway ends at midnight on 10/8/2014. Good luck! You can check out my other giveaways here! I would love to have their duo bike! I'm still loving the zero gravity outdoor chair. I would love to have the Black Wall Mounted Fireplace Electric Heater. I have been keeping an eye on this Oversized Gazebo with Center Leg. I think now is the time to buy and put it away for next year. I'd love the triple basket deep fryer! I really like the BrylaneHome Studio Oversized Cotton Bath Sheets, I would love to have some of those. The colors are fantastic, I really like the portobello color. I love the Amelia Bedspread in Taupe sure would look great on my bed. Might have to order an early birthday gift for myself. I love the 15-pair shoe organizer which could be used for just about anything! I like the Cuisinart 4-Cup Rice Cooker Steamer. I also love the Aspiree Oversized Bath Towel. It looks so soft! I would like to get Brylane's Cuisinart Bread Maker. I love the smell of fresh baked bread. I'd like to have the Cuisinart® Juice Extractor. I would love the Cuisinart® Frozen Yogurt -Sorbet & Ice Cream Maker. I like the Space-Saver Spice Carousel With Built- In Measures. 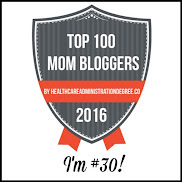 I really want to get one of their zero gravity chairs someday! I love the country kitchen buffet! I like the Shoe Storage Cubbie Bench! I like the 10-Drawer Storage Organizer. I'd love to have a bunch of the Aspiree Oversized Bath Towels! I like the Extra Wide Memory Foam Office Chair. I like the Anti-Gravity chairs. 6-Drawer Storage Wardrobe is nice as well. I could use new bath towels and mats. I like the pet food storage bins. I like the Aurora 6 Shelf Bookcase. I'd really love the Extra-Deep Lasagna Pan. i also like the Peel-and-Stick Magic Gel Wall Tiles. my kitchen could use that. I would like the Eclipse™ Kendall Thermaback Rod Pocket Panel curtains. I love the 2-Pc. Low-Fat Meatloaf Pan! I need one of these and it is a great price right now! I like the kitchen curtains. I think the Berkshire Embellished Cottage Set is pretty. I like the holly Christmas quilt set. I like the Aspiree Oversized Bath Towel. I love their Cuisinart® Chef's Classic Non-Stick Bakeware Set! Love and need the 50-Pc. Always Fresh™ Air Loc Food Saver Containers. I like their furniture and bedding items. They have everything I like from kitchen to bathroom and beyond. Country Kitchen Buffet is my favorite. 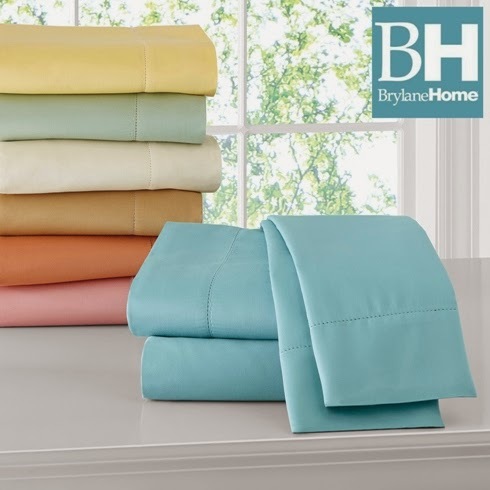 I like the Brylane Home Studio Oversized Cotton Bath Sheet. I love big towels. I like the Battery-Operated Waterfall Fountain. I love the Soho Grommet Thermal Panel curtains! I like the Horizon Watercolor Blanket, so pretty and comfy looking. I like 500-TC Egyptian Cotton Sheet Set. I would like to purchase the Panasonic Fuzzy Logic 10 Cup Rice Cooker. 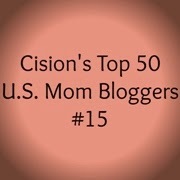 I really like the Cuisinart® Ice Cream Maker! I love ice cream! I like the Set Of 3 Cordless Pre-Lit Mini Christmas Wreaths. Thank you! I would like the Cordless LED Tinsel Bow. I love the Bedford Queen Bed, but honestly I wouldn't mind one of everything on that site. Following the bedding trend (there's just something about fall that calls for cozy beds! ), I really like the florence comforter. I would love their Kenzie 6-Pc. Comforter & Quilt Set Collection. I really like the red cast iron pot set, and the anniversary bundt pan. I really love the Hall Tree/ Storage Bench. Brylane Home has a Panasonic Toaster Oven with infrared ray heaters that I've had my eye on for a while now. Nice, but pricey. I love the purple romance 5 piece comforter set! I would love one of their gazebos for our backyard! The Cast iron Grill press is something I would be able to use for years! Ooh, the Space Saving Heater looks great! YUM! I'd like their Cuisinart® Mix It in Soft Serve Ice Cream Maker! Love the Celtic Bistro Wine Rack! I would like to have the 5-Function Deluxe Shower Head/Massager. I really like the Amelia Embroidered Bedspread set. It's not very glamorous but I'd love to have the 12 piece kitchen towel set. Circle Wall Mount Tea Light Candle Holder wall decor is beautiful. I'd love the Spa Shower Head. I like the Cuisinart® Mix It in Soft Serve Ice Cream Maker. I like the Versatile 4-IN-1 Stainless Steel Pot!! I would love the plush pet covers!! 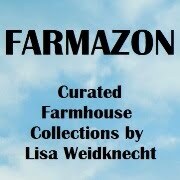 They have so many nice items. I need another matress topper though and they have a 4 in foam one I would love to have. I really like the 10 drawer organizer. I want the Narita Media Console with Electric Fireplace. I like the Milano cotton duvet. I would like the 5-Tier Metal Closet with Hanging Rod. I really need that. I like their Extra Large Photo Keeper set. I like the triple basket fryer. I love this cookware set: 12-Pc. Cereco® Cookware Set! I love the Extra Wide Glider & Ottoman Set. I like the Oriental Rug Stair Treads. Thanks. I would love to get their Aspiree Oversized Bath Towels. I really like the sherpa microfleece reversible blanket. They would make great holiday gifts. I love the digitial slow cooker. It would be great for the winter time! I would like the waterproof mattress pad. I'd also love to have the plus size living recliner....it looks so comfy. Square Cast Iron Skillet looks great to cook with. I also like the Spa Shower Head - with 90 water jets it sounds ahhhhmazing! Believe it or, I'd like the meat slicer for my husband! I love the Aspiree Oversized Bath Towel. I also like the Country Kitchen Corner Cabinet. I like the Crested Back Bar Stool, 30"H. This is just what I need. I like any of the nesting table sets. I also like the dust free shoe storage containers. I love Shark® Rocket™ Professional Vacuum! I need a new vacuum and this is perfect! I love their bath towels and shoe organizer. I like the 20-Pc Tangy Striped Flatware. I like the Prepac Sonoma Black Queen Platform Storage Bed (6-drawers)! Extra Wide Glider & Ottoman Set in the burgundy colored fabric is the item I would choose. I would love to have a cotton chenille bedspead in the lovely orange color they have. It is beautiful! The "Florence" quilt in Indigo! Just beautiful! I like the Skyline Total Bed Set Collection . I would love the Vertical Oven. hi, who couldn't use new bath towels...http://www.brylanehome.com/decor/Aspiree-Oversized-Bath-Towel. I really like the Betty 8 piece Comforter Set. The Gold and Lavender colors are very pretty. I appreciate that they're carrying plus-size furniture and would love the glider. I would like the oversized bath sheets! I like the bloom bed set! I love the Pre-Lit Spider Webs - so cute and festive! I love so many of their comforter sets. I like the brylane home studio bath towel collection. I'd also love to have their Cuisinart® Chef's Classic Non-Stick Bakeware Set! I love the Bordeaux server! I really love the Non-Stick Griddle. That would be so neat to cook our weekend breakfasts on. I'd also love to have the Hamilton Beach® 4-Slice Toaster. I would love to try the Aspiree Oversized Bath Towels! I would love to have one of their deep fryer's! I would love the stainless steel Whistling Tea kettle. I really like the Arts & Crafts Dining Table & Chairs. I think the Skylar 4-Pc. Comforter Set Collection looks really nice. I also like the Trellis Print Pet Bed for my dog. I like the laundry 3 bin sorter. Could really use that for my laundry area! I like the 5-Tier Metal Closet with Hanging Rod! I love the Kenzie 6-Pc. Comforter & Quilt Set Collection it's so pretty! I like the Sherpa Microfleece Reversible Throw. It looks perfect to snuggle on the couch with! I like the Heavy-Duty Jumbo Shopping Cart with Rubber Wheels! I would love to also try the Bissell® SpotBot® Pet Stain Remover. I love the April 4-Pc. Comforter Set.